Microsoft Windows 8 is the first touch-focused Windows operating system line and features major user interface changes over its predecessors. Windows 8 was released to manufacturing on August 1, 2012, and was made available to the public on October 26, 2012. Windows 8 is preceded by Windows 7 and succeeded by Windows 10, currently the most recent version of Windows available. 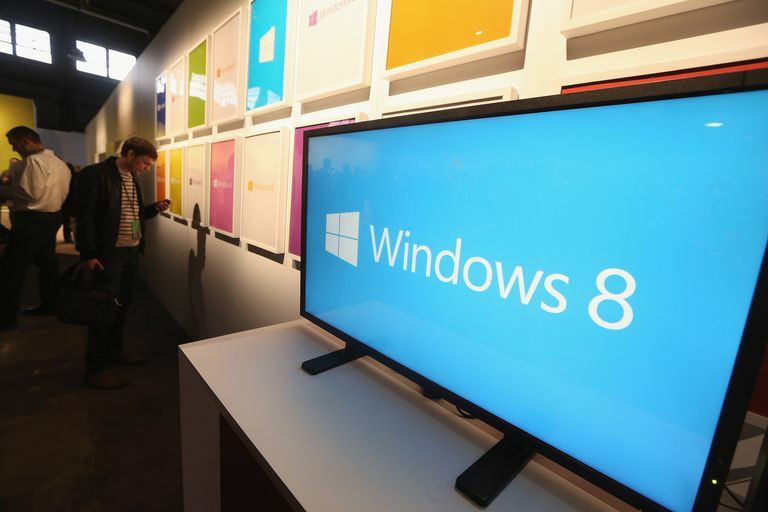 Windows 8.1 Pro and Windows 8.1 are the only two editions sold directly to the consumer. Windows 8.1 Enterprise is the edition intended for large organizations. Windows 8 and 8.1 are no longer sold but if you need a copy, you might be able to find one on Amazon.com or eBay. All three editions of Windows 8 already mentioned are available in either 32-bit or 64-bit versions. A Windows 8.1 Pro Pack is also available (Amazon is probably your best bet) which will upgrade Windows 8.1 (the standard version) to Windows 8.1 Pro. The most recent version of Windows 8, currently Windows 8.1, tends to be what is sold on disc and via download now that Windows 8.1 is released. If you already have Windows 8, you can update to Windows 8.1 for free via the Windows Store. Windows RT, previously known as Windows on ARM or WOA, is an edition of Windows 8 made specifically for ARM devices. Windows RT is only available to hardware makers for pre-installation and only runs the software included with it or downloaded from the Windows Store. There is no service pack available for Windows 8, nor will there be one. Instead of releasing service packs for Windows 8, as in Windows 8 SP1 or Windows 8 SP2, Microsoft releases large, regular updates to Windows 8. The initial release of Windows 8 has the version number 6.2.9200. See our Windows Version Numbers list for more on this. Any copy of Windows 8.1 Pro, Windows 8.1 (standard), or Windows RT 8.1 that comes preinstalled on a computer comes with an OEM license. An OEM Windows 8.1 license restricts use of the operating system to the computer on which it was installed by the computer manufacturer. Prior to the Windows 8.1 update, Windows 8 licenses were much more confusing, with special upgrade licenses with strict installation rules. Beginning with Windows 8.1, these types of licenses no longer exist. Where Can I Download Windows 8? More Windows 8 tutorials can be found on our Windows 8 How-To's, Tutorials, and Walkthroughs page. Lifewire.com also has a Windows section that focuses more on general Windows use which you might find helpful.